Dillon Danis is preparing hard for his Polaris bout with Garry Tonon and the ADCC. Following a non starter performance at Worlds Danis has opted to change up the camps a bit and has been training at Unity with the Miyao brothers. 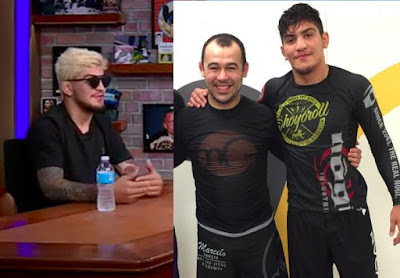 Last April, Marcelo Garcia made the difficult decision to have his black belts Dillon Danis and Mansher Khera suspended from the academy due to their bad behaviour. 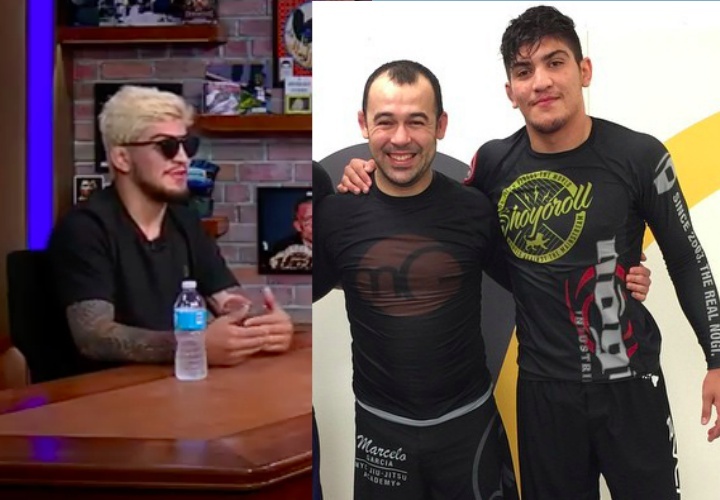 The newly signed Bellator MMA fighter Dillon Danis (0-0 in MMA) has come under much fire with his recent social media arrogant style. “It was a suspension, but I don’t feel like I’m coming back. I love Marcelo, to death. I would never say anything bad about him. “He was my idol before I went to him, and then he ended up being my coach and a dad figure for me. He just needs to get his stuff straight, too. We had a lot of differences (Marcelo and him). He really wants you to be like him…He wants you to be always smiling and do that stuff. But we can’t all be the same. You can’t make be that way. There’s a lot of fake people in Jiu-Jitsu but I’m not like that”. “We were supposed to get our black belts, and no one knows about this…Something happened in my life, and I took a picture of myself with the finger, and he [Marcelo] suspended me for six months”.